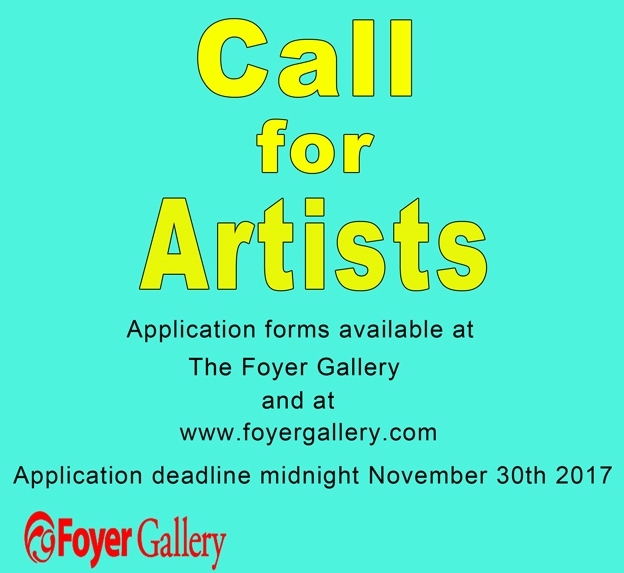 The Foyer Gallery Artists Association is looking for innovative emerging and established artists to join the Foyer Gallery. If you wish to apply for membership, please download and submit the Application Form below. Applications will be accepted between November 1 – 30, 2017. 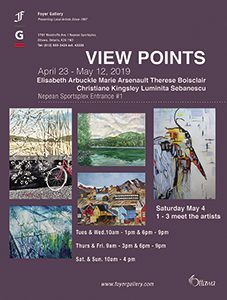 Applications can also be dropped off at the Nepean Visual Arts Centre, located at entrance #3 of the Nepean Sportsplex. If you need additional info, send an email to info@foyergallery.com. One more step! Please check your inbox or spam folder now to confirm your subscription. Newsletters are sent out every three weeks at the beginning of shows. Subscribe with confidence! Your email will never be shared with anyone else. Copyright © 2011 - 2019 Foyer Gallery. All rights reserved.